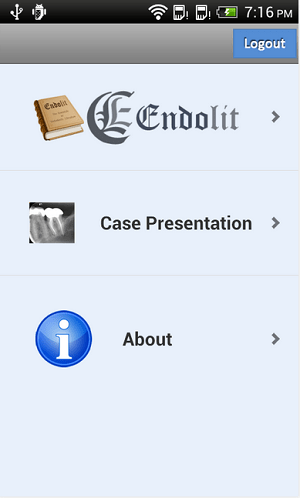 If you are a dentist and interested in the field of Endodontics, there is great new app for you on Android called – Endolit! I have reviewed many other apps developed for professionals, and the essential need of such apps is the depth of information available in them. 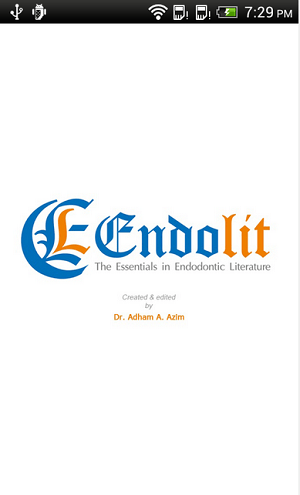 For Endolit, it’s a great place for dentist to get started in the field of Endodontics with literature and go in as much detail as they can. 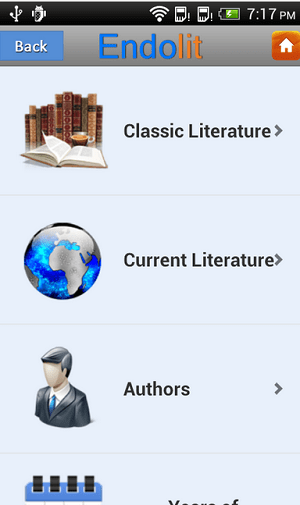 Two of the essential modules of this app includes Endolit” and “case presentation.” Where is the first module takes care of classic literature on the subject, and gives access to most valuable content published in past 50 years. Also some of the influential articles published every month are also updated inside this segment. Endolit have built-in smart search feature that will help you find all the topics you are interested in very quickly. All the content published inside this app is gone through expert educators and researchers, so user can always get updated quality content. They also summarize these content in the most efficient yet detailed form allowing the readers to grasp the essence of the research. On the other hand in ‘Case Presentation’ module, you can submit your clinical cases for publishing and ave a chance to be claimed as “Clinician of the Month” by our Clinical Advisory Board which includes a group of highly renowned clinicians and educators from all over the world. 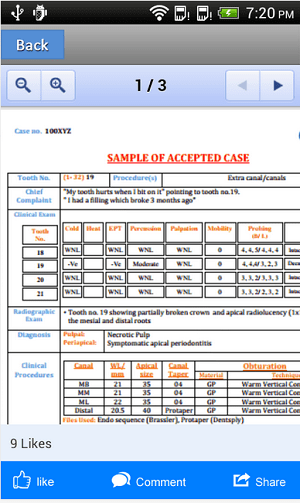 The board has created set of protocols for submission and selection of the cases, from which they select two cases recommended as ‘Cases of the Month’ and final one is chose by users vote itself. The user interface is basic, but simple to navigate through and easy to understand. The app looks great on all major Aroid devices and works flawlessly as well. So overall, great app for reading and analyzing years of research on Endodontics, and a highly dedicated panel will help your way through the education. I w ill highly recommend this app to all interested dentists, though for a general Android user this app is not much useful. Axis Bank Plans Major Mobile Banking Push To Reach Out 15 Lakh Customers on Smartphones!